The issue of holding monitoring at the border between Azerbaijan’s Nakhchivan Autonomous Republic and Armenia hasn’t been discussed at the OSCE so far, the Russian Foreign Ministry told Trend Aug. 17. 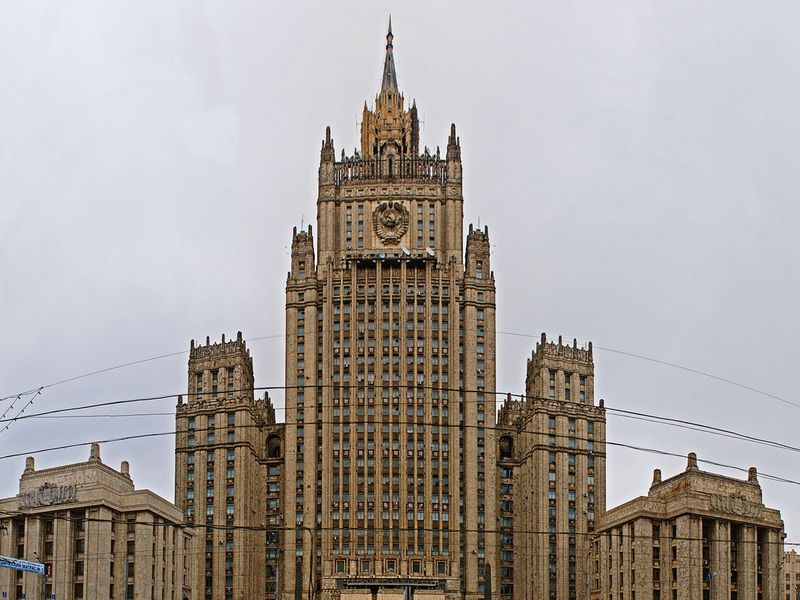 The ministry was commenting on Russia’s position as a co-chair country of the OSCE Minsk Group regarding the possibility of holding monitoring in the territory not included in the conflict zone. Earlier, press secretary of the Armenian Foreign Ministry Tigran Balayan alleged that Yerevan repeatedly applied to the office of personal representative of the OSCE chairperson-in-office, Andrzej Kasprzyk with a proposal to conduct monitoring on the Nakhchivan section of the border with Armenia. Such appeals were caused by some “provocative actions” of Baku on this section of the Armenia-Azerbaijan border, Balayan claimed. This is while holding monitoring of an Armenia-Azerbaijan border section outside the conflict zone isn't included in the OSCE mandate. Moreover, Yerevan has been claiming for over two decades that the conflict is allegedly not between Armenia and Azerbaijan, but between the Nagorno-Karabakh separatists and Azerbaijan. Proceeding from this, it isn’t clear enough why the OSCE should monitor the specified section of the border and what is Yerevan’s interest in this regard. In order to conduct OSCE monitoring across the entire Armenia-Azerbaijan border, Yerevan must first recognize that the Nagorno-Karabakh conflict is essentially an Armenia-Azerbaijan conflict. The OSCE, in turn, also needs to clearly and unequivocally show Yerevan that the conflict is between the two countries - Armenia and Azerbaijan.